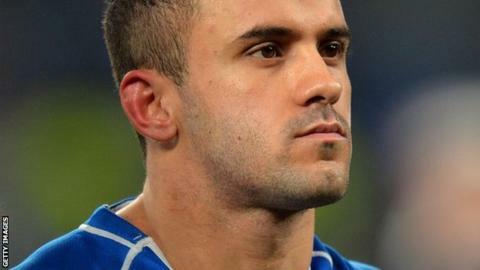 Ulster have signed Samoan international fly-half Mike Stanley on a short-term contract until the end of the season. With Paddy Jackson and Stuart Olding both currently sidelined because of injuries, Stanley will provide cover for Ian Humphreys at number 10. The 25-year-old, who had been training with Super 15 side the Chiefs, has signed a four-month deal. He has won three international caps to date, the most recent coming against England at Twickenham in the autumn. Born in Auckland, Mike is from a famous rugby family in New Zealand that includes All Blacks, Joe, Jeremy and Benson Stanley. Last season, his performances saw him being brought into the Samoan squad for their 2014 European summer tour, culminating in an appearance off the bench against Italy and then a start the following week, when he kicked 13 points in a 23-13 victory over Canada. "This is a great opportunity for me and a real privilege to play at such a great province like Ulster," commented Stanley. Ulster Rugby Team Manager Bryn Cunningham added: "Getting short-term replacements at this stage of the season is incredibly difficult, so to obtain the services of someone with international experience and who has been in a pre-season programme with a Super Rugby squad in New Zealand, is great for Ulster Rugby. "With the current injury status in the squad, outside half was an area where we were a bit short. "However, the imminent arrival of Mike will give us the comfort that we now have a more than capable back-up for Ian Humphreys."